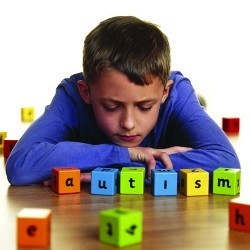 [toc] Autism is characterized by difficulties in social interaction, communication issues and a repetitive behavior. Autism may be present in varied forms, but the varying severity will fall widely through these core areas only. Though, autism is a condition that lasts forever but therapeutic interventions can lower the symptoms and increase abilities and skills in autistic patient if started early and continued throughout the lifespan. Autism symptoms as well as severity vary extensively, so any two autistics with same diagnosis can still behave distinctly with differently developed skills. Every autistic child can have a specific behavioral pattern, but still there are certain common symptoms of autism that helps in identification of the disease. Children suffering from autism show delayed development of speech with babies starting babbling by age one, lack of spoken words by 16 months and formation of 2 word phrases not before age two. Babies may not respond to name, show poor eye contact, no sign of social response or smiles. Children may speak with unusual rhythm or tone, a robot kind of speech or a singsong kind of voice. They may find it difficult to start a talk or keep talking endlessly. They may fail to understand simple directions and questions and appear blank. Children may not have developed proper social, emotional and bonding skills as seem to remain disconnected even from family members. At times, may not hear as if do not recognize you, may resist hugging, cuddling and being affectionate. They may prefer to be alone and indulge in their own world and enjoy more in their own company only. They may even never ask for any support or help as find it difficult to connect with others. People with autism tend to move constantly and show high sensitivity to touch, light, sound and pain. They may have certain food preferences and carve more for items without any food value like dirt or chalk. Perform certain self harming activities like head banging probably as they find it difficult to share their experiences with others. Autistic children show slow paced development in gaining skills or knowledge and may have lower than usual intelligence as per their age. But, some autistic children may also show normal to high intelligence, though may still face difficulty putting their knowledge across others and getting accustom to social interactions. There have been a few cases of autistic children with exceptional skills in specific fields of music, art or math. Reading is also a difficult way to connect with autistic children as they are much unlikely to point at pictures in the book. If autism specific care begins from early stage, these children may be able to develop better social and language skills as they grow. With maturity, autism symptoms may tend to disappear and they can lead near normal lives. Individuals with autism may develop certain routines that become more of a ritual for them as get majorly affected by even a sudden alteration from the fixed schedule. They may show repetitions of tasks like hand flapping, spinning or rocking and show fascination for spinning wheels of a toy, without understanding the actual thing.